What I love about fancy tapes like glitter tape and washi tape, is that they are such great multi-taskers. They look great sealing something - as all tapes should be able to do - but also used as ribbon, on scrapbook pages or in all sorts of craft applications. 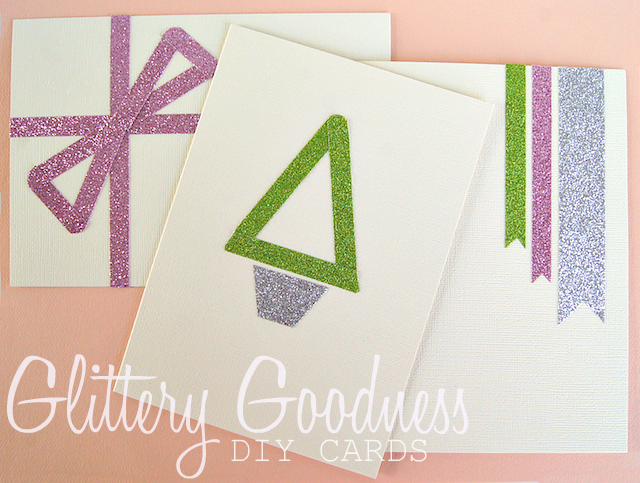 But one of my favourite ways to use them, is to create simple greeting cards! 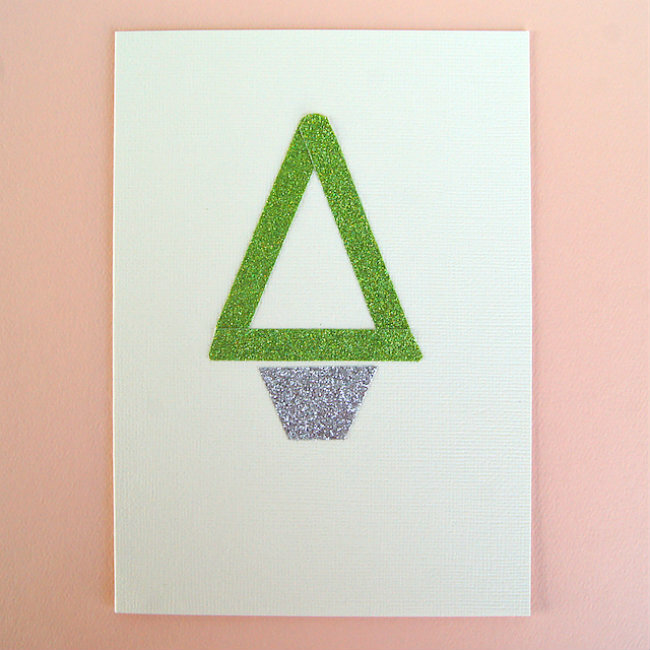 Last year we made Christmas cards using washi tape, this year we grabbed glitter tape and blank cards and had some sparkly fun! 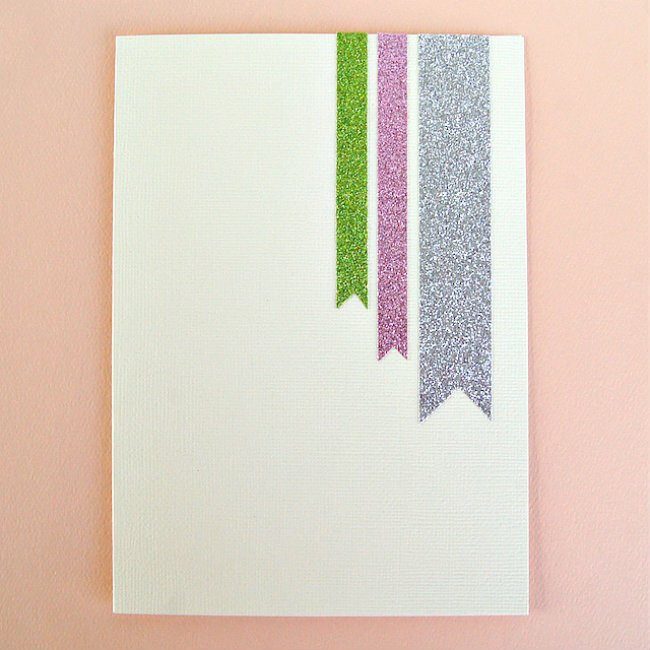 While definitely stickier than washi tape, Glitter Tape is still easy to work with. The plastic backing allows you to plan a layout and cut each strip to size before peeling off the backing and sticking. Need to lift the edge up to round a corner or to reposition slightly? You should be able to on most surfaces. Will you be making holiday cards this year? Or do you prefer to buy them? These are beautiful! 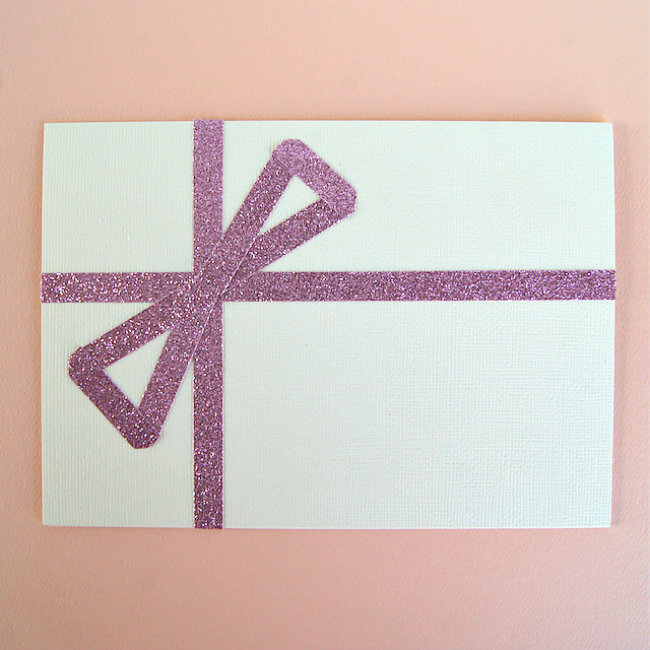 I just bought glitter tape today and I'm inspired to try some homemade cards! These are great! Can I have your permission to redo your designs?